Dragon’s Hoard x2 + Quartmaster x2 + 1 Fey Blessing or Dark Enchantments. Mount Equip Power: Dominant Force (4000 power) > Any Power, Crit or Armor Pen you might have. Mount Combat Power: Bat Swarm (Swarm). If you have any questions or suggestions about our Great Weapon Fighter, please leave a comment below! 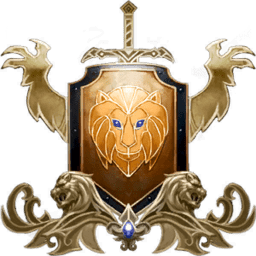 More info about the GWF class can be found at The Neverwinter Reddit. More builds and further info can also be found at MMOMinds. can u tell me the highest single target damage weapon enchant for gwfs? Thank you for this guide. It has been extremely helpful and I can’t wait to get home and start retooling my fighter. Will you be updating this for mod 14? Any chance you can update for mod 14 please? I don’t understand combat powers. I’m a total newbie can someone please explain what the rotation for single target and aoe would look like. No. Terrored Grips has 1641 armor pen after they patched them. This equal around 10% extra defense igonred and if you have max armor pen, you can then for example exchange 3 savage enchantments for brutal enchantments and gain about 1500 power + the around 100 extra power already on the terrored grips compared to the fearbringers. The extra power alone would add around 4% extra damage to at-wills, encounters and dailies. No Fearbringers are better, I still don’t recommend this guide to players starting out, better off looking at sites directly linked with NW community. Terrored grips only help encounters which is IBS, while Fear helps both At-wills and Encounter, plus the Daily -% doesn’t effect slam, Id recommend people go look at MMOMinds, that’s where NW class guides are, that’s Where my “LT Smith Neko” breakdown on the gwf is, along with Wicked duck, and youtube wise, Unforgiven. Only gwf’s you should look towards for proper info. Power gets diminished, the % damage base armor is always better go under my guide and in the breakdown it explains how the bonus works. Prominence beats Fey 98% of the time. The author doesn’t know how power scales in the game and is apparently under the assumption 400 power = 1% damage increase at all times. If running group content you most likely want to run HP boon if an OP running Aura of Courage as this will greatly increase DPS compared to defense boon and for solo content the Lifesteal boon for survivability if you are not running any lifesteal in defense slots for enchants. Author has some misleading information and doesn’t seem to know how the power stat works in this game. Fearbringers > Terrored grips, refer to Janne link http://jannenw.info/pages/mechanics/power for further information. You will most likely want to run HP Boon in group contents provided there is an OP running Auto of Courage as the damage it deals is based off your HP (the higher your HP the better) – for solo content if you do not have enough lifesteal in defensive enchantment slots then you can run the HP boon for survivability. I would recommend either WickedDucks build as it is still relevant or the new instigator build which is more reliant on having combat advantage, the instigator build can be found on Unforgivens youtube channel. Go to HP in the Stat section to see AoC for Gwf, also if you wish to know why Fearbringers it’s because it’s benefiting AT-wills, a gwf’s primary source of Dmg, also hence why Prominence is good for a gwf 98% of the time. Only builds I personally can recommend are mine (LT Smith Neko, Or (Absent)WickedDuck. I don’t watch unforgivinens things to be able to recommend him. The guide has not been updated for mod 15 yet. Hopefully will get it done today! 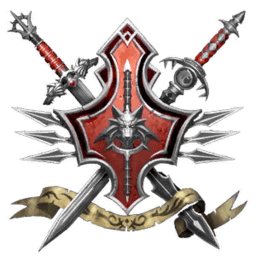 The Great Weapon Fighter guide has been updated for mod 15, the Heart of Fire! For the maze engine boon can u get both endurance and swiftness?